Hiro (Kyoto, Japan) on 22 September 2016 in Miscellaneous. Looks like Autumn is well underway in your neck of the woods! I love the tilt you've given this composition creating a series of great diagonals. @Steven: Thanks. I love diagonals ! I always think that fallen leaves in the fall make some great pictures. This is an excellent shot. Nice shapes and colors of the leaves blown or swept to one side. A pretty line of leaves heralding Autumn. with beautiful angle, composition, colors & rainy atmosphere! Really beautiful and romantic. 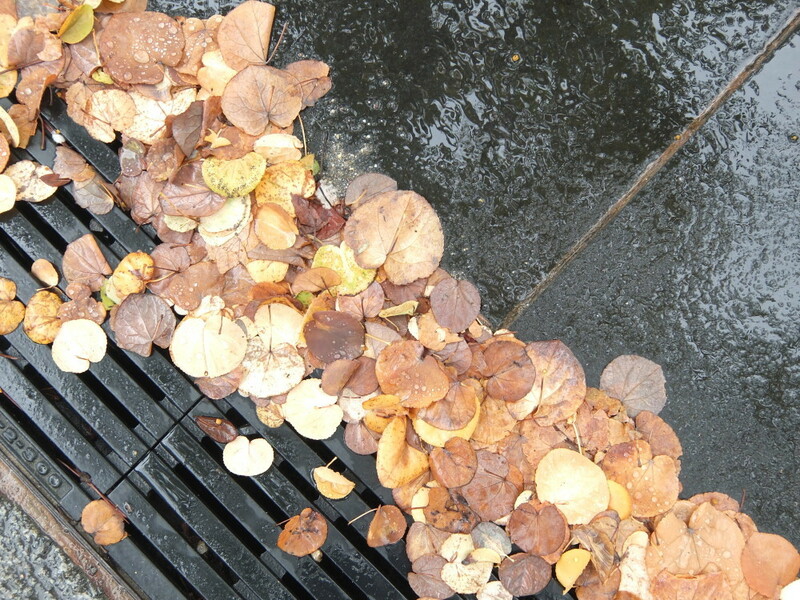 autumn leaves and rain. Falling leaves form a beautiful carpet of warm colors. Excellent view Hiro...! That is very nice. I like the angle of the shot. Superbe due de ces feuilles au sol quelle couleur.